Minerals are fundamental regulators of the functions and activities our organism performs every day. Unbalanced diet, abuse of drugs, stress, smoke, pollution and illness can cause deficiencies or excesses, which can cause numerous problems. Therefore it is fundamental to monitor the balance and imbalance of the various minerals, both nutritional and toxic, which could affect our state of health. 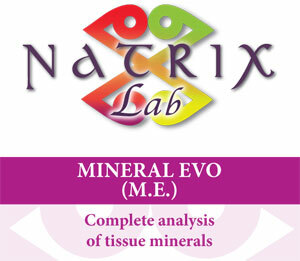 The trace mineral analysis, i.e. a hair tissue mineral analysis, enables evaluating the level of essential minerals for health and the main toxic minerals in our body cells in the three/four months prior to the analysis. Unlike blood tests, which photograph the state of the body at the time the sample is taken, the trace mineral analysis measures the average mineral level in the cells over a longer time period. Nutrient minerals: silver, boron, calcium, cobalt, chrome, iron, phosphorous, lithium, magnesium manganese, molybdenum nickel, gold, potassium, copper, selenium silicon, sodium, strontium vanadium zinc. Toxic minerals: aluminium antimony, arsenic, beryllium, cadmium, mercury, lead, platinum, tin, uranium. Other minerals: barium, germanium palladium, rhodium, titanium, tungsten, zircon. Nutritional deficiencies, stress, exposure to environments rich in heavy metals all cause imbalance able to cause varying disorders. 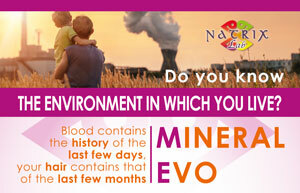 Mineral Evo is recommended for everyone, to evaluate their general state of health and prevent intoxication from heavy metals. You work in a category that lives or works in a polluted environment. You eat large amounts of conserved foods and foods rich in additives. You use lots of drugs and food supplements. You have false teeth, implants, devitalisation. You have suffered heavy hair loss, have fragile nails and very dry skin. 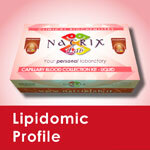 You suffer from chronic tiredness (asthenia), have concentration difficulties and are irritable. You are pregnant and breastfeeding, and want to evaluate any intoxication from heavy metals and the correct concentration of antagonist metals (calcium, iron, selenium). 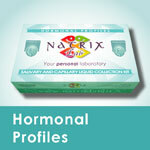 You are in the menopause or suffer from osteoporosis. 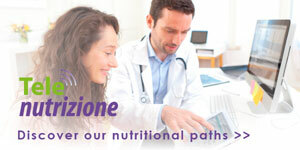 You have micronutrient deficiencies or suffer from eating disorders (anorexia, bulimia). 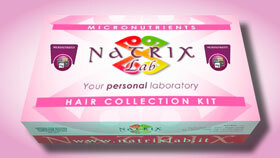 The test is performed by analysing a hair sample, and can be requested in analysis laboratories, medical centres, health spas and pharmacies that offer NatrixLab diagnosis services. Preparing for the test: avoid dyes, colorants, discolorations, permanents and chemical treatments, for at least six weeks before the test. If there are any alterations in the trace mineral analysis, a special diet, associated with medication if a specialist prescribes, will help reduce any imbalance and improve the general functions of your entire organism. We recommend repeating the test after 6 months, after following the right treatment and changing your eating habits To monitor treatment or a pathology, we recommend repeating the test according to your doctor’s instructions. Komatsu F, Kagawa Y, Kawabata T, Kaneko Y, Chimedregzen U, Purvee B, Otgon J. A high accumulation of hair minerals in Mongolian people: 2(nd) report; influence of manganese, iron, lead, cadmium and aluminum to oxidative stress, Parkinsonism and arthritis. Curr Aging Sci. 2011 Feb;4(1):42-56. Se Ra Hong, Seung Min Lee, Na Ri Lim, Hwan Wook Chung and Hong Seok Ahn Association between hair mineral and age, BMI and nutrient intakes among Korean female adults. Nutrition Research and Practice 2009, 3(3), 212-219. Vanaelst B, Huybrechts I, Michels N, Vyncke K, Sioen I, De Vriendt T, Flórez MR, Aramendía M, Balcaen L, Resano M, Vanhaecke F, De Henauw S Mineral concentrations in hair of Belgian elementary school girls: reference values and relationship with food consumption frequencies. Biol Trace Elem Res 2012; 150:56-67. Park SJ, Lee SH, Cho DY, Kim KM, Lee DJ, Kim BT. Hair calcium concentration is associated with calcium intake and bone mineral density. Int J Vitam Nutr Res. 2013;83(3):154-61. Kempson IM, Lombi E (2011) Hair analysis as a biomonitor for toxicology, disease and health status. Chem Soc Rev 40:3915–3940.